The Mt. Diablo Unified School District’s Autism Task Force is a diverse group of staff, parents, and community members who have a passion for serving our population of students with Autism Spectrum Disorders (ASD). Our focus is on supporting a cultural paradigm shift in how the district and the community view and serve students with autism. The information in this website is intended to begin to inspire that shift. 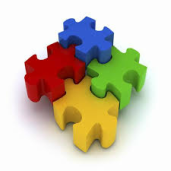 This website is intended to be a resource for principals, teachers, staff, parents, and community members seeking knowledge and information about autism and Mt. Diablo Unified School District. The website will evolve as new information is gathered.